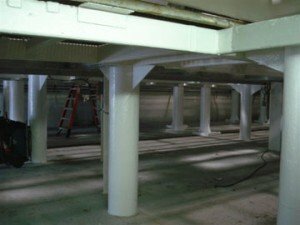 A large paper manufacturer recently hired TMI Coatings to solve a peeling paint and corrosion problem within a large turbine room. 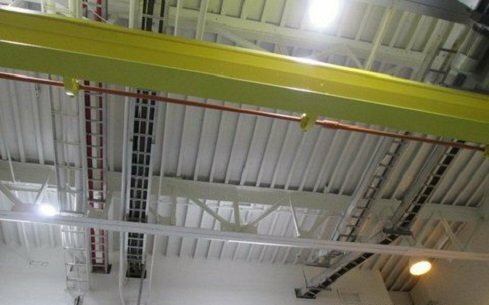 TMI’s crew dry ice blasted and hand and power tool cleaned walls, ceilings, piping and other equipment to prepare the substrates for new coating adhesion. 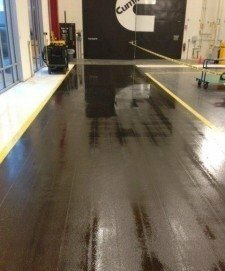 A high temperature coating material was needed for application due to substrate temperatures exceeding 100°F. 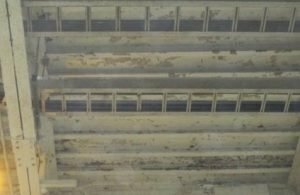 The owner was very pleased with the end result and has since requested additional bids for more work to be completed and referred TMI to other paper mills in the U.S.